Picasa allows you to order prints from some of the most popular online print providers. To order prints, select the pictures you want to have printed in the Lightbox so that they are in the Picture Tray. 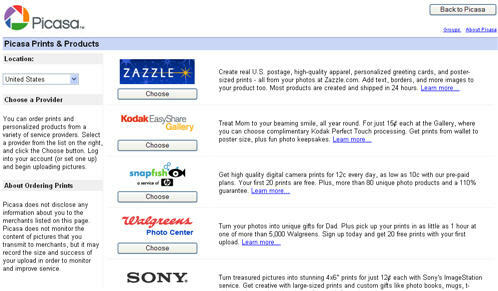 Next, click on the Order Prints button to open up a list of online print providers. When you select a print provider, Picasa will open up a window where you can log into the website of that provider. 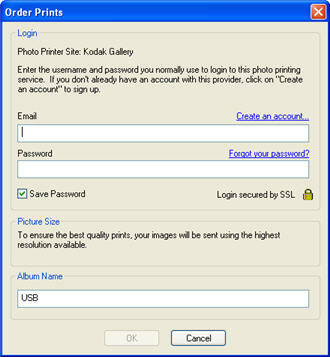 If your login information is correct, Picasa will transfer the pictures you have selected to the website, where you can select the number of prints you want and other options.